Welcome to Chapter 3 of Mojo’s new series for our upcoming ebook launch—Account Based Marketing: A Workbook and How-to Guide. Get an advanced copy when you sign-up for our newsletter at the end of this post. Repeat after me: Account-based marketing won’t succeed in the workplace unless everyone is on board. It’s true! 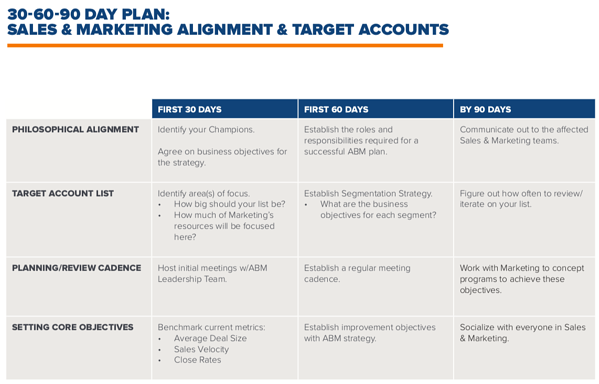 We’ve been preaching organizational alignment from the very first chapter in this ABM story, and today we’re diving into the fine details of why building an ABM leadership team is crucial to account-based marketing success, who should be part of the team, and how they directly impact the future of account-based marketing in your business. To help guide this chapter, we checked in with some of our own Mojo Makers and clients who have participated in ABM programs to give their two cents on the importance of the ABM leadership team. Because you can talk all day about theory, but hearing how ABM applies to real life organizations will always be more beneficial. Working in an environment where your team is excited about an endeavor from the beginning makes the journey that much more enjoyable and often more successful. On the flip side, a lack of positivity can make progress and momentum difficult to maintain. By engaging optimistic, energized team members early on in your ABM process, you will have not only team members who keep you motivated but also cheerleaders who can motivate others in the organization. But where do you find these people, and who should you seek out as not only early proponents of ABM but also as long-term ABM leadership team members? As you can see, upper management and c-suite executives must be part of your ABM Leadership Team for the project to be a success. If you can establish a great team to lead the way, your battle is halfway won. But how do you convince these team members to join your proposed ABM leadership team? Marketing teams could work all day dissecting web analytics, page views, bounce rates, form fills, and more. But these metrics won’t make any difference when you put them in front of a c-suite executive unless they speak their language. As Sonja suggests, helping leadership team members understand the ties marketing dollars have to the business’s key objectives and goals is critical for buy-in and continued advocacy. 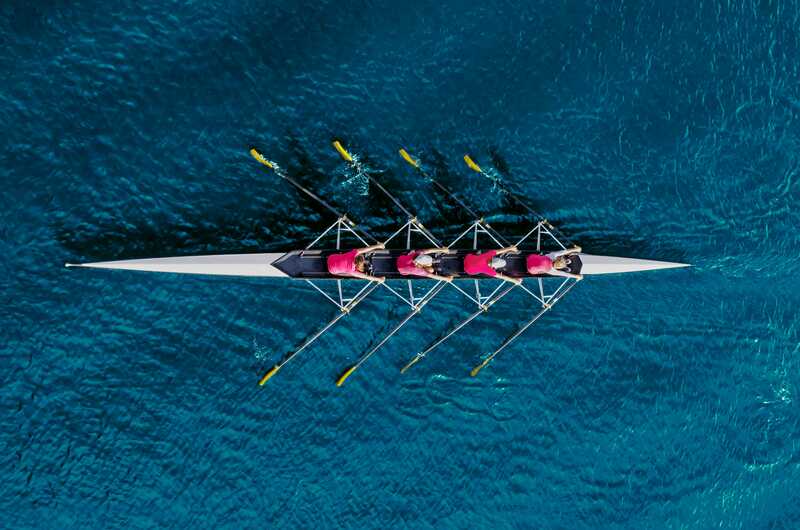 You’ve made the connections yourself in your marketing team to some degree, but it’s all for naught unless you can show the leadership team just what account-based marketing can do for the business bottom line. Furthermore, not only should you work to connect the dots between marketing dollars and business ROI through ABM in the beginning, but you should also continue to encourage and work with the ABM leadership team to guide future organizational decisions through the lens of ABM. ABM is a long-term commitment requiring time, alignment, and advocacy across the organization. As decisions are continually made through an ABM lens by the leadership team, this will help create organizational cohesion and help account-based marketing become a new normal, working alongside inbound campaigns and other tactics. But your work isn’t done just because you got everyone on board in the first place. There’s a difference between engagement and advocacy. Engagement is going through the process, being part of a program, actively participating in the ABM tactics within your organization. Advocacy, however, speaks to continued promotion, working side-by-side with tangible, repeatable proof that shows why account-based marketing benefits your business’s bottom line. Advocacy is what you should strive for when you create your ABM leadership team. Members of ABM leadership teams like Gary Williams of Reputation Institute understand that the account-based marketing process doesn’t stop at initial alignment. For ABM to succeed, it’s critical to engage at all points of the process and advocate the ridiculous results account-based marketing brings to the business’s objectives. And to that, it’s not just a matter of getting people excited; remember, account-based marketing is a strategic organizational initiative. You will strategically work with the executives mentioned previously to create cross-department alignment and continue to foster that alignment even down to tech stack choices and reporting. Create the target account list (based on the criteria from most successful clients). The process of building your ABM leadership team can be viewed as part of a larger 90-day alignment journey to Sales and Marketing alignment. As you can see in the chart, the leadership team’s biggest impact falls in the first 30 days with approvals and alignment, but continues along the philosophical alignment row and beyond to continue advocating ABM as campaign and program results begin to form. At the end of the day, your ABM program is only as strong as your ABM leadership team and its actions in the organization. To create lasting account-based marketing success, your ABM leadership team needs to be the primary advocate for the program starting early in the process and maintain accountability across the organization as it makes future business decisions through an ABM lens. This will create a successful platform for you to take the next steps to ABM success. We’re diving right into creating your ideal client profile and buyer personas. We’ll discuss who needs to be involved, what they’ll contribute, and provide some tips on how to build a scalable ideal client profile and buyer personas you can confidently say ABM will engage. Catch up on the series with Chapter 1: What is Account-Based Marketing? and Chapter 2: Are You Ready for Account-Based Marketing? We’re getting closer to the release of our ebook, and newsletter subscribers will be first on the list to get their exclusive copy. Sign up using the form below to subscribe to The Weekly Mojo, our weekly newsletter with the best digital marketing content delivered right to your inbox.